The bocce ball is a tall, refreshing juice highball with a recipe that's popular enough to memorize. It is a simple mixed drink, though there are a few ways to make it. The main elements in any bocce ball are amaretto and orange juice. The almond notes pair very well with citrus, creating a fun twist on the average orange juice highball. 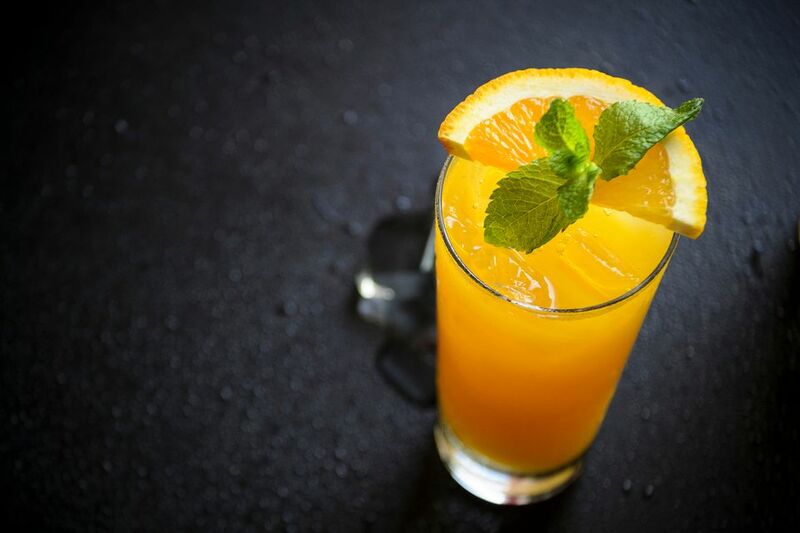 Some recipes, like the first one below, include a shot of vodka and opt for less amaretto, creating a drink that is more similar to the screwdriver. The splash of soda also adds a touch of air to the drink, making it a bit more refreshing. You might also consider switching to a flavored vodka to add a little more dimension. Citrus vodkas or any light fruit flavors are great options, and cake or whipped cream vodkas add a sweet, creamy background that can be fun as well. This recipe is the straight amaretto and juice version of the bocce ball, and it's equally delicious. It is a nice option for those days when you want a lower-proof drink and it is perfect for a casual brunch when made with fresh orange juice. Again, the soda is a nice finishing touch that lightens up the drink, though you can easily skip it. To make this drink, pour 2 ounces of amaretto into an ice-filled collins glass. Add fresh orange juice and a splash of club soda. The bocce ball's ingredients can also be used to create a bomb shot, which is when a shot of liquor is dropped into a tall glass filled with a second beverage. Again, amaretto and orange juice are all that you will need, and you will find that it is considerably less intense than the Irish car bomb or Jägerbomb. Fill a shot glass with amaretto and pour orange juice into a pint glass. Drop the shot into the juice and drink. You don't have to fill the pint glass with orange juice. Instead, pour just 4 to 5 ounces, or fill the glass about one-third of the way full. How Strong Are These Bocce Ball Drinks? Surprisingly, despite the hard liquor, these bocce ball drinks are not much stronger than the average beer or glass of wine. The vodka does make the first recipe the strongest of the three, though each is nice and mild in comparison to many other cocktails.